0 Comments Published by KL Ocs Kid on Tuesday, October 2, 2007 at 8:45 AM. 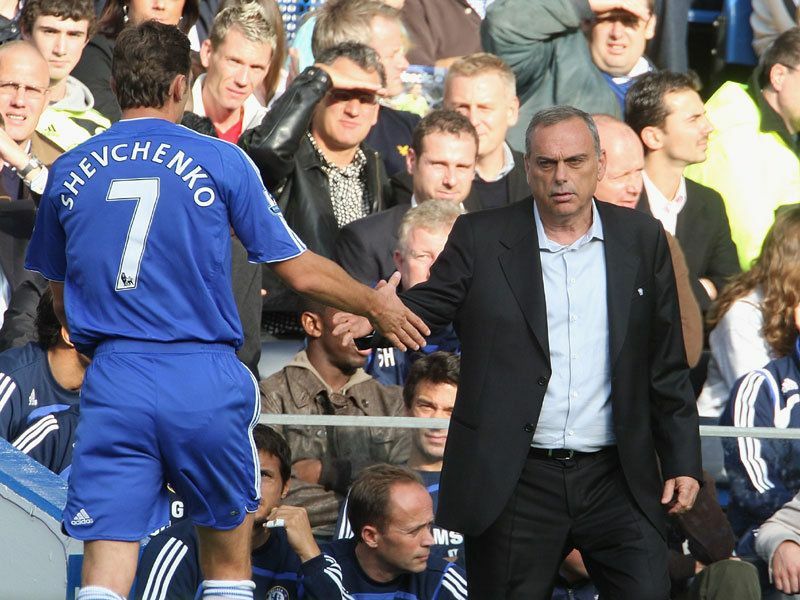 The Chelsea soap opera continues with the latest episode containing enough drama to furrow the brow of Avram Grant even further. 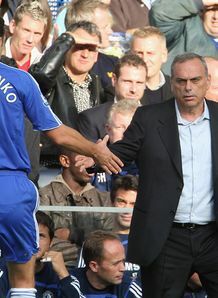 An injury to skipper John Terry, a red card for striker Didier Drogba, Andriy Shevchenko jeered by his own fans, chants for former boss Jose Mourinho and chairman Roman Abramovich sat among the supporters in the South Stand. Oh, and a 0-0 home draw against Fulham, who went into the weekend's games second only to whipping-boys Derby in the porous defence stakes. Hardly the confidence-boosting performance the Blues needed as they look to emerge from the long shadow still cast by Mourinho over Stamford Bridge. But while one London club struggle to move on from the exit of a major figure, another is positively flourishing. Thierry Henry's departure to Barcelona was supposed to sound the death-knell for any aspirations Arsenal had of challenging for the title. Instead, the opposite has occurred. The table-topping Gunners are playing with freedom and verve with Saturday's 1-0 win over West Ham - who did the double over Arsene Wenger's side last season - their sixth victory from seven league outings. While Arsenal earn plaudits for their exciting interpretation of the beautiful game, champions Manchester United are learning to win ugly, a concept not unfamiliar to pre-Wenger Gunners teams. Sir Alex Ferguson's side chalked up their fifth successive victory against Birmingham at St Andrews, their fourth 1-0 triumph in that sequence, with only Louis Saha's late penalty against Chelsea breaking the run. The combined attacking talents of the Red Devils have mustered just seven goals from eight games, with Derby the only team in league to have scored fewer, but Cristiano Ronaldo's first league goal of the season will have been a welcome sight for Sir Alex Ferguson. Finding the net was certainly not a problem for Portsmouth and Reading at Fratton Park on Saturday as they produced a Premier League record 11 goals with Harry Redknapp's side running out 7-4 winners. A hat-trick from the previously shot-shy Benjani Mwaruwari set the tone for an astonishing afternoon and the tally could have been even higher with David James saving Nicky Shorey's penalty. Rafael Benitez's rotation policy continues to cause debate in Liverpool although Fernando Torres kept his place for the trip to Wigan after his midweek hat-trick against Reading in the Carling Cup. But the Spain international was kept quiet as the Reds found the going tough at The JJB Stadium with the Reds' other midweek goalscorer - Yossi Benayoun - stepping off the bench to grab the winner. Despite protestations to the contrary from Sven Goran Eriksson, Manchester City are making a strong case that they will be Champions League contenders come May. Eriksson's expensively-assembled league of nations have gelled well and in Brazil's Elano, whose superb free-kick set the seal on a 3-1 victory over Newcastle, they have one of the signings of the summer. At the other end of the table, the match billed as a September six-pointer between early strugglers Derby and Bolton resulted in only one apiece for each side with a 1-1 draw keeping the duo at the foot of the table. The battle of the Manchester United legends at The Stadium of Light went the way of Mark Hughes, with his Blackburn side running out 2-1 winners over former team-mate Roy Keane's Sunderland. And Mikel Arteta's return after an ankle injury proved the catalyst for Everton with the classy Spaniard setting up both goals as David Moyes' men defeated Middlesbrough 2-0 at Goodison Park.